Walter Cronkite 1916-2009 Photo from NASA. Broadcasting lost another of it's giants on Friday, July 17, 2009 with the passing of long time CBS anchor Walter Cronkite at the age of 92. A parade of notables and celebrities have passed away in the last month. Among them Farah Fawcett, Michael Jackson, Steve McNair, Ed McMahon, Karl Malden, Darrel "Shifty" Powers, Billy Mays, Gale Storm, Arturo Gatti, and now Walter Cronkite. It is somewhat ironic that Cronkite passed away during the week of the 40th anniversary of the Apollo 11 lunar landing. He anchored the CBS coverage of the mission from the launch at the Kennedy Space Center and then from the CBS studios in New York. His analyst was Wally Schirra. A lot of Americans watched the CBS Apollo coverage. Growing up in Hermiston without cable meant most people had KEPR and KNDU to watch. CBS's coverage had Cronkite, Schirra, an army of correspondents around the world connected via satellite, test pilots, great miniatures and realistic mockups of the command and lunar modules. NBC had puppets, "pictures in motion," an Apollo model on a train track and Frank McGee. CBS was easily the best coverage even though some people thought Walter talked too much. The folks that watched NBC had to listen to a rambling and unfocused Chet Huntley and a slightly sarcastic or disinterested David Brinkley. Walter Cronkite was born in St. Joseph Missouri on November 4, 1916. One year before John F. Kennedy was born. Walter delivered newspapers as a kid. His family moved to Kansas City then later Houston, Texas. After leaving college he became a writer for a Scripps-Howard newspaper. In the mid 1930's he worked at a small radio station covering news and sports. It was during this time that he married his beloved Betsy. In 1939 Cronkite joined the what was then called the United Press to cover World War II. Among his assignments for the 'Writing 69th' including covering the invasion of Normandy on D-Day, parachuted with the 101st Airborne, flew on B-17s over Germany, covered the postwar Nuremburg trails and opened the UP's Moscow bureau following the war. Edward R. Murrow had tried to coax Cronkite to join CBS Radio during World War II. Cronkite had rejected the offer. When CBS made another offer in 1950 Walter took it and went to work in the television division. It is reported that one of his first assignments at the CBS Washington affiliate WTOP was the late Sunday 15 minute newscast called Up To The Minute. In 1952 he was the assigned to anchor CBS's coverage of the Democratic and Republican national conventions. In 1953 he worked on the acclaimed CBS educational historical series You Are There. The concept of the show was that modern TV reporters would cover significant historical events of American and world history. 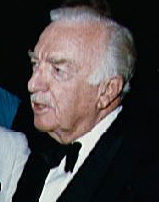 Walter Cronkite was the host and reporter for the Twentheth Century that ran from 1957 to 1967. The series covered the significant historical stories of the first half of the twentieth century. There were many episodes on World War II. In the fall of 1967 Cronkite began work on the 21st Century. That series was an extension of his interest in space flight and science and ran until 1970. Some of the documentaries on the History Channel and Discovery Channel now are direct descendents of the Twentieth Century. In 1954 Cronkite was assigned to The Morning Show, CBS's answer to NBC's Today Show. Among Cronkite's duties was discussing current affairs with a puppet. If you think that's kind of, well, weird, Dave Garroway on NBC's Today Show had a chimpanzee as one of his co-hosts during that time frame. You are probably wondering what Walter Cronkite has to do with sports. Well, it all began in the 1930's reporting on sports for a local newspaper and later doing college football broadcasts. But Walter Cronkite's involvement with television sports took place two years before took the evening news anchor chair. He was named the anchor of CBS's coverage of the Winter Olympics. The first Olympics to be broadcast on American television. In 1959 Tex Schramm, who would later run the Dallas Cowboys, was a sports producer within the CBS News division. Sports wouldn't become it's own division at CBS until 1961. Schramm was able to talk the network into covering the 1960 Winter Olympics from Squaw Valley, California. CBS spent $50,000 for the U.S. rights to broadcast the events of the VIII Olympic Winter Games. It's been reported that CBS decided to cover the Olympics like they would a political convention. Since Walter Cronkite had anchored political conventions and had covered sports back in his newspaper and radio days he was a natural to handle the duties. Among the CBS coverage team was Jim McKay, Bud Palmer, Chris Schenkel, and Harry Reasoner. CBS would cover the Summer Games later that year with Jim McKay anchoring. I tried to find a video of Walter Cronkite anchoring the coverage and came up empty. But I did find a clip of the USA vs USSR hockey match with, I think, Bud Palmer doing the play by play. Walter Cronkite was an avid sports car enthusiast and enjoyed sailing. He even did a piece on sports car driving and the race at Monaco won by Sterling Moss from likely 1960. Here is the YouTube clip. Cronkite became the anchor for space coverage with the first Mercury flights in 1961. In 1962 Walter Cronkite was offered the anchor spot on the 15 minute long CBS Evening News. In September, 1963 CBS expanded the evening news to a half hour and Cronkite's guest was President John F. Kennedy in an interview taped at the Kennedy property in Massachusetts. Just two months later JFK would be assassinated in Dallas, Texas. The CBS overnight news show Up To The Minute played segments of that first 30 minute newscast including part of the interview with President Kennedy. Here is that clip from YouTube. Cronkite was at the teletype machine eating lunch when the bulletin from UPI announcing shots had been fired at President Kennedy's motorcade at about 1:40PM eastern time. There weren't any cameras available in the news division since they were brought in and hooked up just before the 6:30PM broadcast of Evening News. So Cronkite read the first bulletins over a CBS News Bulletin slide after breaking into long time CBS soap opera As The World Turns. It took about 15 minutes for the cameras to be set up and turned on and Cronkite raced back to the newsroom forgetting to put on his suit jacket. Walter spent several long hours recounting the situation in Dallas, introducing reports from a young Dan Rather and other reports. While there was some speculation that the President had died based on the statement of at least one priest who had given JFK the last rights of the Catholic Church it wasn't until the official bulletin announcing his death came over the AP and UPI services. "From Dallas, Texas, the flash -- apparently official -- President Kennedy died at 1 p.m. Central Standard Time . . . some 38 minutes ago." Cronkite's steady authoratative mastery of the information he conveyed jelled over that long, sad weekend. I remember the look on my parent's faces when they watched the news of the death. Shock and dismay were the order of the day that dark November. Walter Cronkite covered the Vietnam War and started out as a strong supporter of it. Cronkite made several trips to Vietnam to report directly on the situation. It was his trip during the Tet Offensive that led him to make a comment on the Evening News that it was time to look for a way out of the war. Some historians report that Cronkite's report led directly to Lyndon B. Johnson deciding not to run for re-election in 1968. A month after the 1968 elections NASA launched Apollo 8 to orbit the moon. Seven months later in July, 1969 Apollo 11 landed in the Sea of Tranquility. Cronkite studied physics, orbital mechanics, flew on the vomit comet and became good friends with most of the astronauts of that era. So when Cronkite used models to discuss the fine points of vehicle dynamics he had a solid grasp of what he was talking about. Three years later, during the 1972 election, a group of burglers were arrested at the Democratic National Headquarters at the Watergate Hotel Complex. A trail of money and shady characters led directly to the Nixon Administration. Nixon ran on a law and order campaign in 1968 and 72 but had a group of operatives called plumbers to handle the dirty work out of the White House. It appeared that Nixon believed he made the law and gave the orders. Watergate was a murky muddy situation that confused alot of Americans. Walter Cronkite and his producers decided to explore what Watergate was about over two episodes of the Evening News late in 1972. Suddenly relationships between the Committee to Re-Elect the President, the burglers, the plumbers, White House staff and perhaps even the President became clearer in the well researched and documented report. It was one of the earliest complete reports on what Watergate was about that was available to a national audience following closely on the local material that had appeared in the Washington Post and other sources. Walter Cronkite was one of the guides America had during the tumultuous years from World War II through the early 1980's. It was forty years of wars, tension, cultural change and assassinations. A time of upheaval in the shadow of possible nuclear destruction. It was also a time of fantastic advances in science, medicine and space technology. Walter Cronkite was one of the best at distilling and making sense of all the things that took place. While even he, himself, said it was kind of a simplification, "That's the way it is," his signature signoff for most of his run on the Evening News was an accurate appraisal of an ever changing and morphing world.